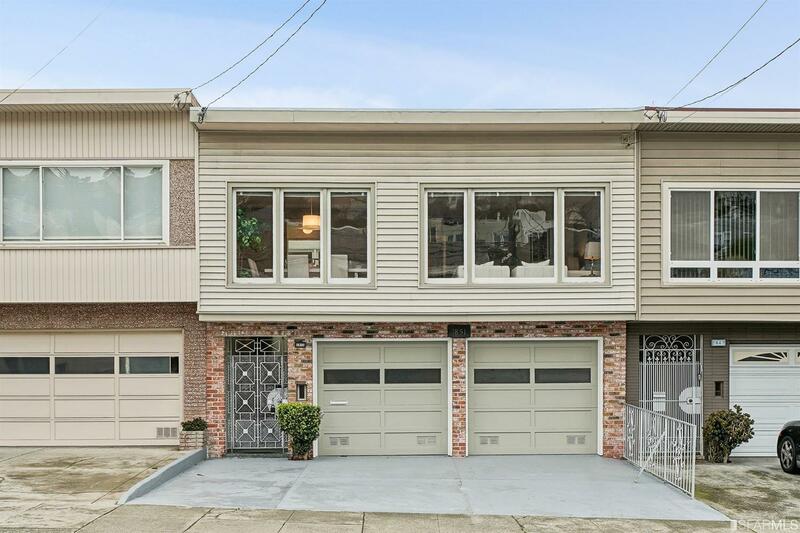 Inner Sunset home conveniently located close to public transit, Noriega Street shops & restaurants. This classic mid-century home features 3 bedrooms 2 baths on the top level along with spacious living room with fireplace, dining room, and eat-in kitchen. Lower level offers huge family room, two car side by side garage parking plus two car side by side driveway parking, and lots of extra room for potential addition. The rear yard is landscaped and spacious. Original hardwood floor were newly refinished, and interior was freshly painted.